#ArtBasel2015 | What's Poppin' Tonight! 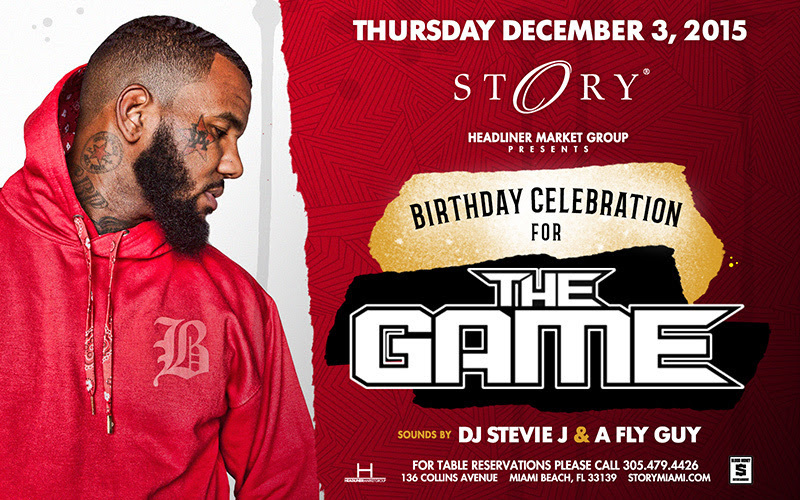 STORY Miami & Headliner Market Group presents The Game Birthday Celebration at STORY Nightclub #STORYThursdays ~ Phresh Hott New! Tonight! 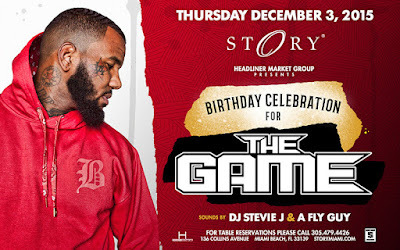 Headliner Market Group and STORY presents “…hiSTORY in the Making” Birthday Celebration for The Game + More at STORY Miami. Music by DJ Stevie J | A Fly Guy | + More!